2014 – Year of Change? 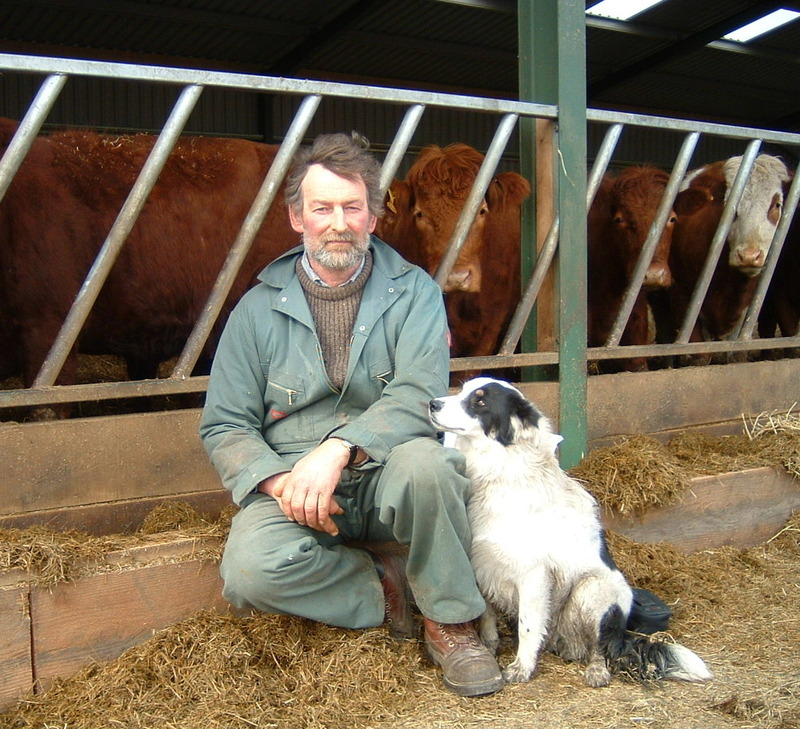 2014 looks set to be a seminal year for the tenanted sector of Scottish farming. Reviews on land and tenancy reform against the backdrop of a new CAP regime and Scottish referendum in September promise the ingredients in a recipe for potentially positive change. Land reform and tenancies are now in the spotlight, and high time too. This is welcome news as the intervening decade since the last attempt at tenancy reform has seen the sector take a serious battering. The 2003 Act, despite its good intentions, has been continuously challenged, relationships between landlords and tenants have deteriorated, the let land market has closed down and opportunities for new entrants have all but disappeared. The cross industry stakeholder body the TFF has become an ineffectual talking shop, failing to address the central isues holding back the tenanted sector. Inhibited by powerful sectoral vested interests, it was always doomed as a handy patch of long grass for tricky problems and is now facing redundancy with the advent of the ministerial tenancy review. Having given the industry a sporting chance to sort itself out, Cabinet Secretary Lochhead’s patience has now worn thin and he has taken personal charge of this all-important review of agricultural holdings. He has a well balanced team and I hope they will grasp the nettle and recommend some far-reaching changes to the tenancy system. Travelling around Scotland over the last decade visiting tenant farmers I have witnessed the consequences of lack of confidence and short-termism. Seasonal lets, short term tenancies and contract farming do not encourage investment in land and infrastructure. Empty farms, farmhouses and degraded land are testimony to lost opportunities for new entrants and the under-utilisation of any nation’s two most fundamental assets of their land and people. Yet it needn’t be like this. The demand for production exists. The food and drink sector is burgeoning at home and abroad with plenty room for expanding exports. There is a new generation of enterprising young people waiting , full of ideas and eager to farm the land. The burning issue is of course, access to land, both for new entrants and for those wanting to grow and develop their businesses. Scotland has a highly regulated tenancy sector as an inevitable consequence of its concentrated pattern of landownership where an estimated 430 or so individuals, out of a population of 5.3M, own half of Scotland. This is a serious statistic worth taking stock of. Richard Lochhead’s review group has set out its vision of what it believes a dynamic and successful tenanted sector will look like in the future to meet the aspirations of the Scottish Government. However , the challenge it really faces is whether that vision can be achieved within our present land tenure structure or will more root and branch reform be needed? The tenant farming population is now engaging in the process, looking forward to contributing to the debate and providing the evidence needed to bring about reform. There is a huge appetite for positive change and wider opportunities for successive generations to participate in a fairer, more inclusive rural economy. Let’s hope this will be met with the action needed to rejuvenate land tenure and bring about this brighter future which the rural communities of Scotland now so desperately need and deserve. The Scottish Tenant Farmers Association is asking all tenant farmers to take the time to respond to the Scottish Government’s tenancy survey and in doing so to ensure they complete the correct survey form. The Scottish Government is currently surveying tenant farmers to inform the Agricultural Holdings Review taking place under the chairmanship of Cabinet Secretary Richard Lochhead. Survey questionnaires accompanied by a Freepost return envelope have now been sent to all tenant farmers who also have the option to respond online. STFA Chairman Christopher Nicholson said: “This tenancy survey will be one of the most important to land on tenants’ and owner occupiers doorsteps and we would encourage all tenants to respond as soon as possible as it is important for their views to be heard. This review represents a unique chance to reform and re-invigorate the tenanted sector, but the Review Group needs to have a clear picture of not only tenancy statistics, but also the wide ranging views of tenant farmers and owner occupiers who rent in land. The Scottish Government will be issuing reminders to those who haven’t responded in the next week or so. If any tenant has not yet received a questionnaire or is concerned they should contact David Myers of Ipsos Mori on 0808 231 5376 or Fiona Leslie on 0131 244 9920. Responding to the consultation on the Remedial Order to amend the 2003 Act following the Salvesen Riddell case, the Scottish Tenant Farmers association has said that the Scottish Government should not abdicate its responsibility and must act to protect the interests of affected tenants who now stand to lose homes and livelihoods. The Remedial Order seeks to grant vacant possession to landlords who had served notice to quit on their tenants in the relevant period in 2003. This will inevitably lead to some tenants losing their farms unless the mediation process proposed by the Government can broker a deal between landlord and tenant. STFA is concerned that the government has made no move to accept responsibility for the situation that these tenants now find themselves in. Following a meeting with affected tenants STFA’s Angus McCall said; “It would appear that these tenants are in danger of being hung out to dry. The government must commit to compensating tenants for their loss of their farms. “The Cabinet Secretary’s statement to the RACCE committee that tenant’s claims for compensation will receive “sympathetic” treatment is scant comfort to tenants and their families who now face an uncertain future. It must be remembered that tenants merely acted within the legislative framework provided to them and against the backdrop of the intention of Parliament. It is therefore important that they should not be prejudiced for acting within the remit of the law and following professional guidance. They will pay both a financial and ‘emotional’ price given, as we all appreciate not only is it their businesses but families that are affected. Surveys are being sent to every tenant farmer in Scotland as part of a major piece of research that will influence the future of Scottish farming. Responses to the questionnaire will inform work of the Ministerial-led Agricultural Holdings Legislation review which is considering, among other issues, absolute right to buy for traditional secure 1991 agricultural tenancies. Corresponding surveys will be sent to landlords shortly. It comes as the Scottish Government publishes a new map showing the distribution of tenant farms across Scotland. “This research is vital to the review of Agricultural Holdings Legislation that I am leading, as responses will influence our findings and the future of Scottish farming. “The map published today shows the distribution of tenant farms across Scotland, but we need to build up a much more detailed picture of the issues facing the sector and those working in it. The surveys being carried out on our behalf have been developed in collaboration with the Tenant Farming Forum and ask important questions about people’s experiences of farming and views on the future of the tenanted agriculture sector. 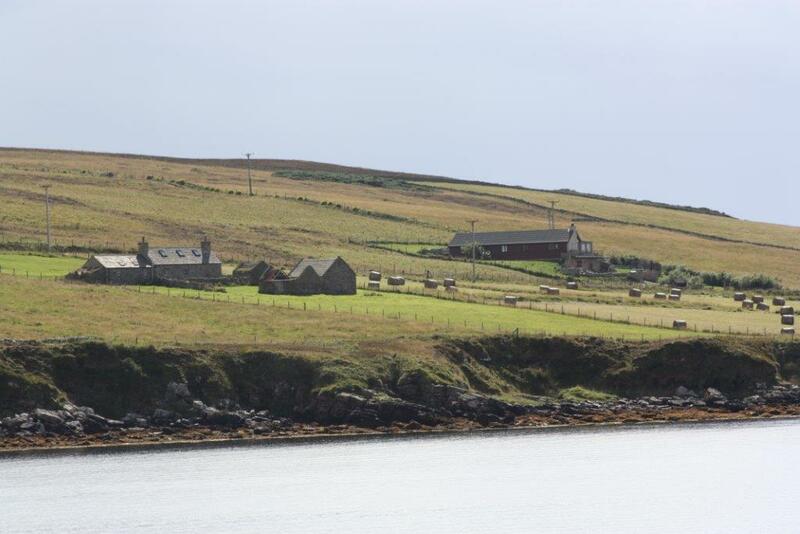 Surveys asking about experiences of farming and views on the future of tenant farming of Scotland are being sent to all farm business that rent-in land on leases for more than one year. Responses can be submitted online or on paper and are requested by February 7, 2014 with a final closing date of March 10, 2014. Corresponding surveys will be sent to landlords shortly. A further telephone survey to better understand landlord and tenant farmer relationships will be carried out with a sample of tenant farmers and landlords in the coming months. The surveys have been carefully developed in collaboration with Tenant Farming Forum members including National Farmers Union Scotland (NFUS), Royal Institution of Chartered Surveyors (RICS) Scotland, Scottish Tenant Farmers Association (STFA), Scottish Land and Estates (SLE) and Scottish Agricultural Arbiters and Valuers Association (SAAVA). The map published today shows the percentage of tenanted agricultural land by parish, excluding tenanted croft land, and is available to download. STFA is urging all tenants to respond to the government tenancy survey to be launched this week. STFA Chairman Christopher Nicholson said “As we embark upon the most important review of tenancies in a generation, it is essential that Government have a complete picture of the Scottish tenanted sector. Scottish farm tenancy statistics have traditionally been woefully inadequate and we are pleased that the government is now going to address this major issue and fill the vacuum. The survey results will be treated in the strictest confidence and all tenants should take the time to complete the survey as soon as it arrives and return to government without delay. STFA cannot overemphasise the importance of this opportunity to address the steadily declining and blighted sector. Family farms are the backbone of rural communities but reform is now essential to reinvigorate the Scottish rural economy in which tenants play such an integral role. The ball is now in our court to respond to this survey and play our part in shaping a brighter and better future for ourselves and the next generation entering Scottish agriculture. Commenting on the programme STFA chairman Christopher Nicholson said: “We are pleased that questions on landownership and land use are rising to the fore as the debate about Scotland’s future progresses. “Land tenure has been cast into the long grass for too long and we look forward to some radical proposals from the Land Reform Review Group whose interim report dramatically shied away from any consideration of Scotland’s land tenure structure and tenant farming. “We also welcome Environment Minister Paul Wheelhouse’s commitment to a fairer distribution of land and hope that the Scottish Government will now look towards creating a fresh vision for rural Scotland and press forward with a programme of land and tenancy reform. 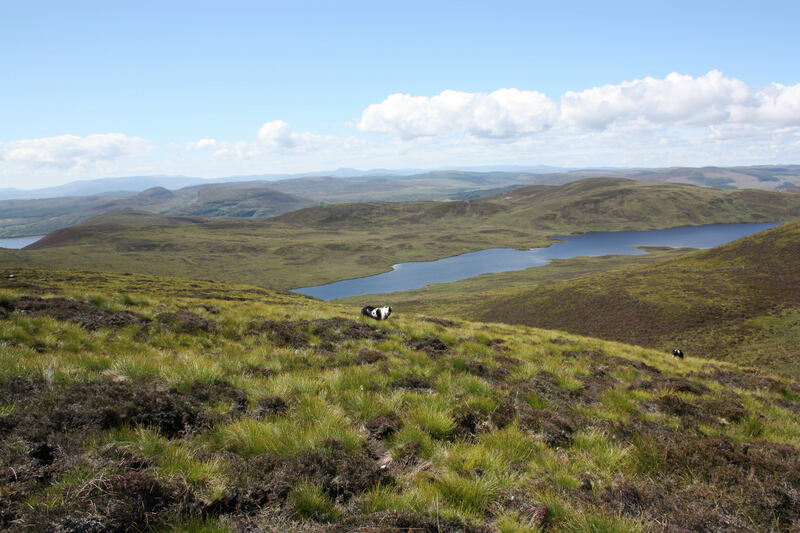 “There is, however, a danger of presenting land reform as a Highland issue involving sporting estates, but there are also many large lowland estates where communities and the rural economy would benefit from a greater diversity of landownership. “The current concentrated pattern of landownership in Scotland is placing the interests of a tiny minority above the wider public interest. Despite assertions of high levels of capital investment by estates, enterprise and investment in rural Scotland is being inhibited, especially in the tenanted sector. The difference in investment between tenanted farms and owner-occupier farms is plain to see, particularly where estates have been split up with some farms sold off to tenants and some retained. New owners use their new found freedom to invest, diversify and prosper. Feelings of frustration will only continue to grow in rural communities of Scotland if the government does not take a more radical approach to land reform in rural Scotland and help create a fairer society. STFA ESTABLISHES SALVESEN RIDDELL HELPLINE – ARE YOU AFFECTED – GET IN TOUCH! The Scottish Tenant Farmers Association has established a Helpline for tenant farmers who have been caught up in the fallout from the Salvesen Riddell case. STFA is urging all tenants who think they may be affected to get in touch with STFA as soon as possible. The UK Supreme Court has ordered the Scottish Government to remedy s72 in the 2003 Act (the legislation put in place to give added protection to tenants in limited Partnership tenancies) and the Scottish Government is now consulting on how it intends to carry out this order. The consultation ends on 7th February. Commenting on the situation STFA director Angus McCall said; “Government officials have been in contact with several individuals who are affected by the Remedial Order, but there may be others who are not yet realise that they too are involved. We would urge anyone who had a notice served on them terminating their Limited Partnership tenancy in 2003 to contact STFA as a matter of urgency whether or not they are members of the Association. 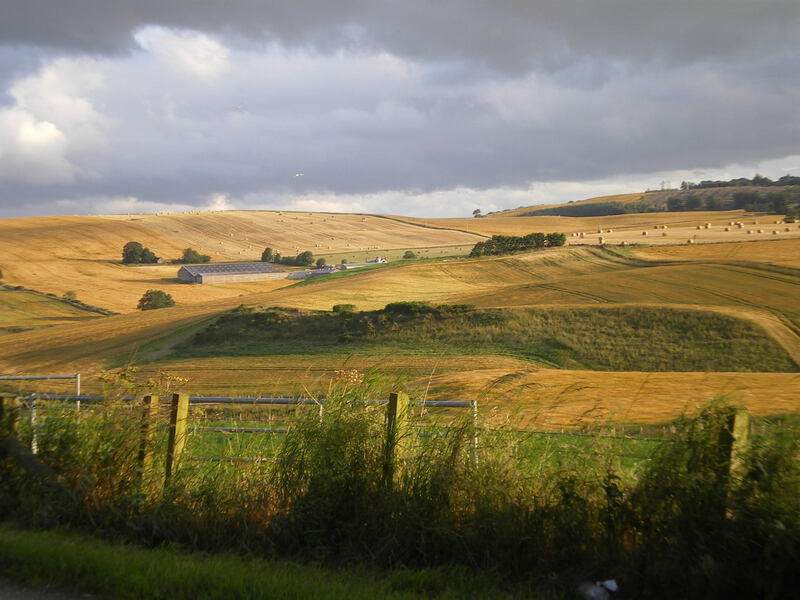 2014 – A NEW DAWN FOR SCOTTISH TENANT FARMERS? The leader of Scotland’s tenant farmers has said that 2014 will prove to be a make or break year for the tenant farming community. STFA chairman Christopher Nicholson said: “The next twelve months will map out the future for tenant farmers and the communities in which they live as CAP reform takes shape, deliberations over land reform and tenancy reform conclude and the people of Scotland cast their vote in the independence referendum. Crucial decisions on these policy strands will profoundly affect the economic, social and cultural future of rural Scotland. 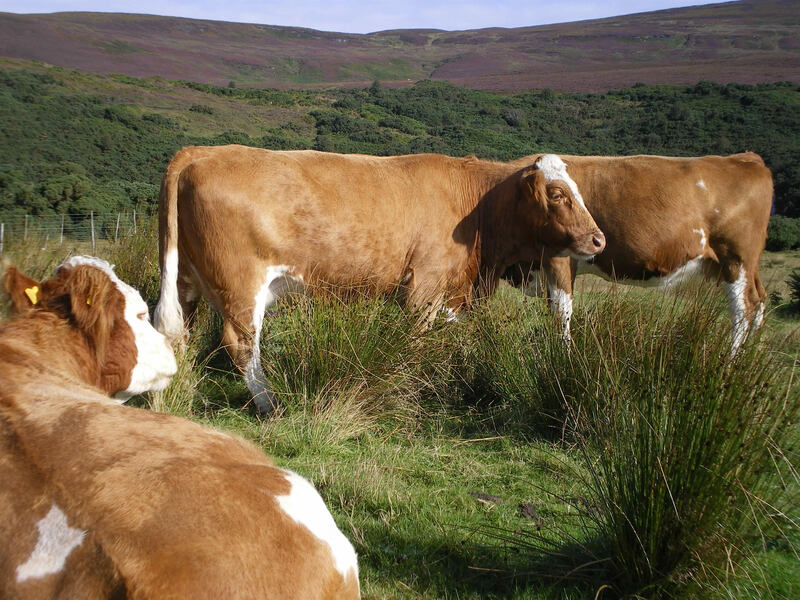 “CAP reform is the immediate priority for all farmers, optimising funds from a much reduced budget, exacerbated by Defra’s withholding of Scotland’s share of the uplift in convergence funds. Slipper farming must be consigned to the history books and it is essential that support payments are targeted towards genuinely active farmers. 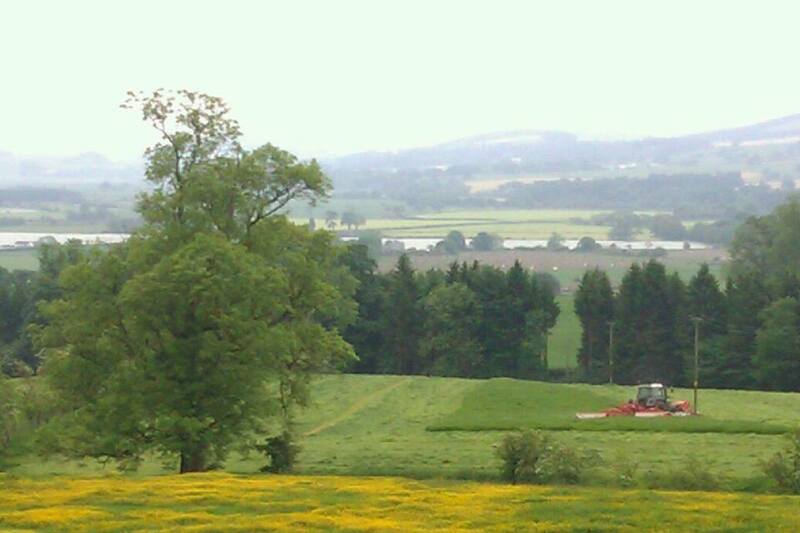 Much needed LFASS payments must continue and smaller farming units should have greater access to SRDP schemes. New entrants must have a fair deal from day one and the national reserve must be ongoing to ensure support payments for future generations of new farmers. “The New Year must herald a new dawn for tenant farming. The last decade has seen the tenanted sector shrink and stagnate with deteriorating relationships between landlords and tenants. Rental pressure has been increased on existing tenants and opportunities for new entrants have declined even further. It is now time to move on and make a new start. “There are high hopes that government reviews on land and tenancy reform will stimulate a more positive vision for a more inclusive land tenure system in the wider public interest. Greater diversity of land ownership must be part of the mix alongside a tenanted sector where security of tenure and fair rents encourage investment and long term planning. 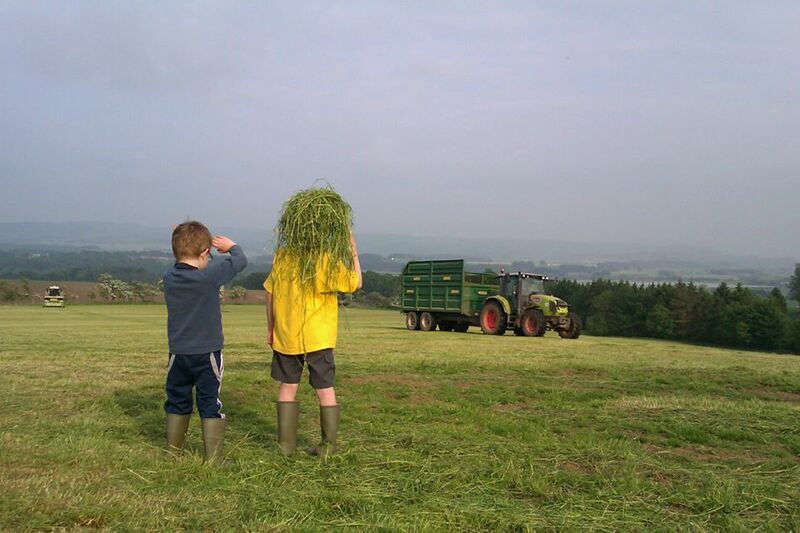 Above all, more opportunities must be created for the next generation whether they are new entrants or tenant farmers progressing up the farming ladder. STFA welcomes the current debate over extending right to buy provisions and its impact on Scotland’s land tenure structure. Many tenants now feel frustrated and restricted by the terms of their tenancy. Recent STFA meetings have highlighted the urgent need for tenancy reform and there have been increased calls for the introduction of the absolute right to buy as a way of encouraging tenant farmers to realise their potential. The Salvesen Riddell debacle moved into a new phase last week following the Scottish Government’s announcement on how it intends to remedy S72 of the 2003 Act which sought to give additional protection to tenants in Limited Partnerships. In April of this year, the UK Supreme Court, in ruling on the Salvesen Riddell case, decided that this provision contravened ECHR and was outside the competence of the Scottish Parliament. The court’s judgement gave the Scottish Government 12 months to make good the defect and ensure the relevant section of the Act is compliant with ECHR. The Government now proposes to change the legislation so that landlords who served notices to quit on limited partnership tenants in 2002-3 are now able to recover vacant possession of these farms. Commenting on the government’s proposals STFA Chairman Christopher Nicholson said: “This long running saga has haunted the tenanted sector for the last decade. It has turned out that, in trying to prevent limited partnership tenants from losing their farms, the Scottish Government of the day created a piece of legislation that has achieved the opposite. Tenants in limited partnership tenancies are now in a more vulnerable position than ever. “This legal ‘fix’ will remedy the deficiency in the legislation but it can only be bad news for those affected, some of whom may now face the prospect of eviction from their farms despite having acted within the law and in good faith to protect their businesses and their livelihoods. There are half a dozen or so tenants embroiled in long-running expensive and stressful legal battles in the courts attempting to save their tenancies and some of those who have been granted full security of tenure who now face losing their farms. “STFA believes that tenants who are at the moment in possession of secure tenancies must be allowed to continue farming, particularly if they have invested in their businesses, anticipating continuing security of tenure. At least two of these tenants have sons who have returned home to carry on the farming businesses and these young farmers now face a bleak future. If evictions follow the government’s actions these tenants must receive adequate compensation to allow them to rebuild their lives and farming careers. “Similarly the tenants who have been undergoing legal battles to retain their farms must be compensated not only for the legal expenses they will have incurred but also for the time and stress tenants and their families have suffered, and for the loss of their expected livelihoods. Furthermore, these tenants must be allowed sufficient time to rearrange their lives. Many of them find it ironic that they now face losing their homes and businesses as a result of ECHR legislation designed to protect basic human rights. The order identifies 3 distinct groups of tenants and landlords for which solutions are required to bring them into an ECHR compliant position. 1. Those where the landlord served on the tenant a dissolution notice under section 72(3) for a date in the future. The tenant has the option, within 28 days, of the purported termination, to serve a notice claiming the tenancy in their own right under section 72(6). The date at which the tenant can serve the claim notice is still to arrive (group 1). 2. Those where the tenant is in receipt of a full 1991 tenancy as a result of the landlord either electing not to apply for Land Court for an order under section 72(8) or withdrawing from the Land Court process (group 2). 3. Those where the tenant’s claim to a full tenancy was challenged by the landlord under section 72(7) and the cases were sisted pending the outcome of the above Case (group 3). 1. For group 1 the order provides for the section 73 process. (Continuation of the tenancy for up to 3 years. 2. For group 2 the order provides that the landlord has an option (though not an obligation) of converting these tenancies into the section 73 process. The opportunity for conversion is provided during a 12 month period which starts on the 28 Nov 2014. The delay for the start of the conversion period allows for a “cooling off” period during which the Scottish Government is offering to assist with mediation if required. 3. For group 3 the order provides that if the case is removed from the Land Court, it is processed through section 73. If it remains at the Court the order provides more discretion to take account of the circumstances and for the Court to make a decision as to when it would be reasonable for landlords to recover vacant possession. With last minute rent negotiations taking place before the November term date, the Scottish Tenant Farmers Association is urging tenants to make sure that land agents seeking rent rises are following the guides to rent reviews published this year by the TFF and SAAVA. The guides set out correct timelines, process and methodology for the conduct of rent reviews in Scotland. In response to calls from tenants being faced with the usual eleventh hour pressure tactics from land agents, Chairman Christopher Nicholson commented; “RICS and SAAVA have agreed that their agents will follow the TFF guides to rent reviews, so it is disappointing to hear from tenants across Scotland who are facing last minute demands for unsustainable rent increases from agents who are reluctant to offer clear and transparent explanations as to how they arrived at their figures. “We are also concerned that the ever increasing rent levels seen in Scotland are threatening the long term sustainability of the tenanted sector. It is clear that tenanted holdings are suffering from lack of investment in infrastructure, and with the current rents being paid, tenants are left with insufficient funds to invest in the fabric of their farms. After two years of poor harvests in Scotland, reduced sales of store lambs and calves as a result of the atrocious spring weather, and the prospect of severe cuts in CAP support payments, it is ironic that landlords continue to seek increased rents. Yet again, this round of rent reviews provides more evidence of the need not only to regulate the conduct of landlords’ agents but also to change the law surrounding rent reviews so that farm rents reflect the economic fortunes of farming and allow long term sustainable businesses to prosper in the tenanted sector. The Scottish Tenant Farmers Association welcomes today’s statement by the Cabinet Secretary announcing the members of the expert group which will assist him in his review of agricultural Holdings, the group’s remit and the timescale of the reviews. The review – led by Rural Affairs Secretary Richard Lochhead – aims to determine what policy and legislative changes may be required to deliver a sustainable Scottish tenant farming sector that is dynamic, gets the best from the land and the people farming it and provides opportunities for new entrants. Sir Crispin Agnew of Lochnaw QC; Barbara Brown, Principal Clerk of the Scottish Land Court; Andrew Thin, Chairman of Scottish Natural Heritage, Board Member of Children’s Hearings Scotland and a Non-Executive Director in the Scottish Government; Professor Jeff Maxwell OBE, former Chairman of the Tenant Farming Forum; and Iain Mackay, new entrant farmers from Mull. STFA Chairman Christopher Nicholson commented; “Tenant farmers across Scotland will be pleased that there are signs that this long awaited review of tenancy legislation is about to start. STFA has just concluded its autumn round of meetings listening to tenant members’ views and experiences. Frustration and deep concern is apparent in every part of Scotland and there is an overwhelming conviction that reform is essential if Scotland is to get the best from the land and the people farming it. “I am pleased that Richard Lochhead has chosen to lead and direct this review and we all that hope ministerial leadership will produce policy initiatives rather than the often anodyne and disappointing recommendations produced by previous review groups. There is a dire need to reverse the shrinkage of tenanted land and breathe new life into a sector which is hamstrung by a lack of investment and opportunity and tenant farmers must be allowed to realise their potential.